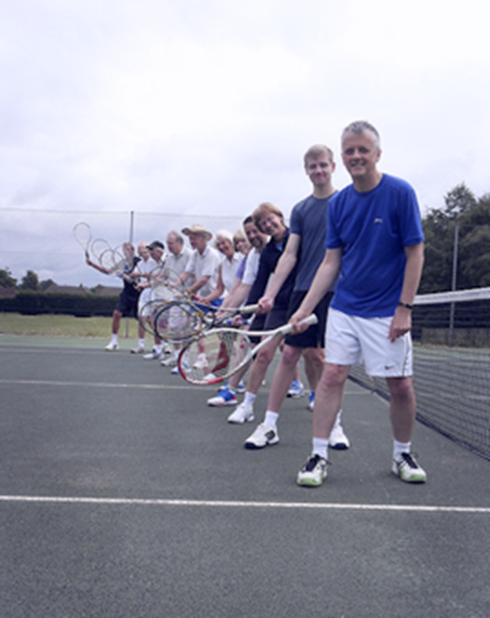 We have a lot to offer adult members including Doubles Club Sessions, Singles League, Cardio Tennis, Group Tennis Lessons for beginners, intermediate and advanced players, Individual Lessons, Club Teams and an Annual Tournament as well as numerous social events. We have one of the strongest coaching teams in Surrey. We cater for all ages from 19-99 – our youngest adult members are 19, our oldest 76! We have very competitive membership rates for adults and families and we’d love you to join. If you are a beginner or haven’t played for years you can take a Beginners Membership for £60 for one year, which includes 5 hours of group lessons.